weddings, birthdays, christenings, communions, family reunions, etc. 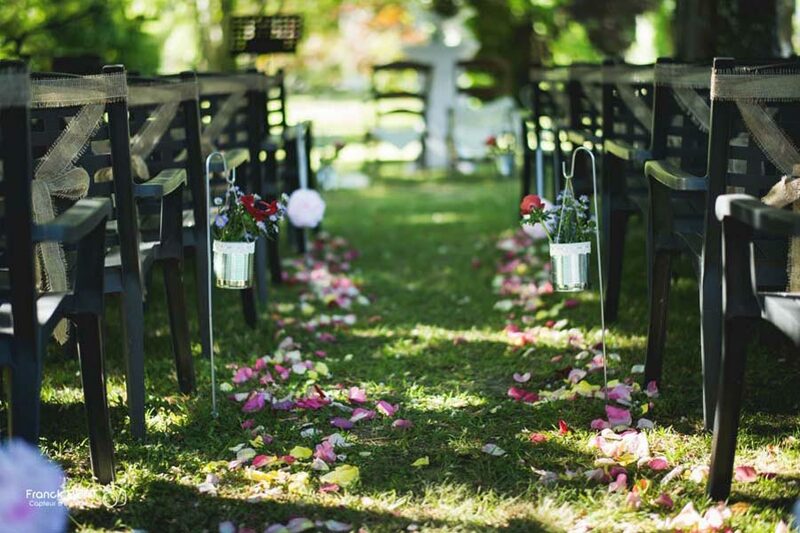 A 4-hectare tree-lined park to host your secular or religious ceremonies and photo session. Your cocktail parties, reception dinners or aperitifs will be served on our patios with a view over the park with its fountain or in our marquee if the weather is bad. 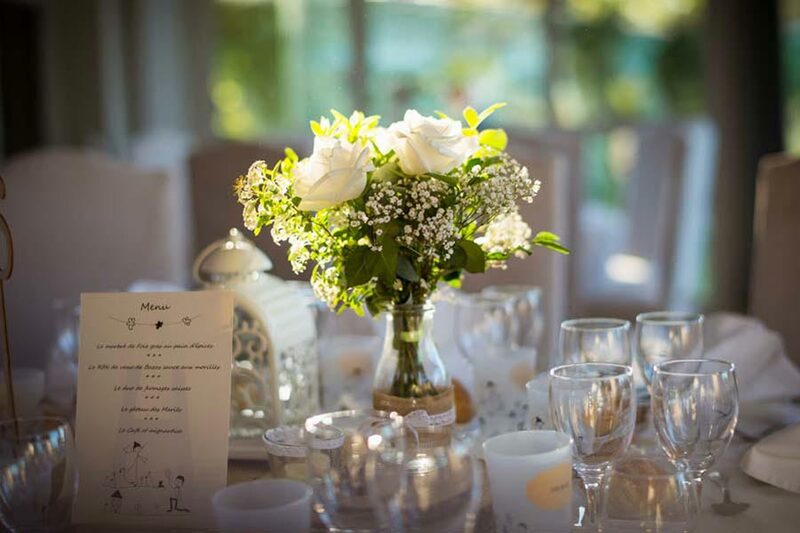 Three reception rooms are available, with a simple, romantic and refined decor providing a panoramic view over the park and Bazas Cathedral, and a capacity for up to 140 guests for your meal. When you call in our restaurant teams, the success of your meal is guaranteed, thanks to a blend of colours and flavours of Gironde, combining the land and the sea, the forests and vineyards. The hotel has 50 rooms and suites to accommodate your guests at special rates. A range of leisure areas are the chance to continue enjoying precious moments with your loved ones the day after the event with a brunch the morning after your wedding in our restaurant, a barbecue served on our patios and fun activities (indoor heated pool, hamam, outdoor pool, billiards, table football, table tennis, tennis court, etc.). 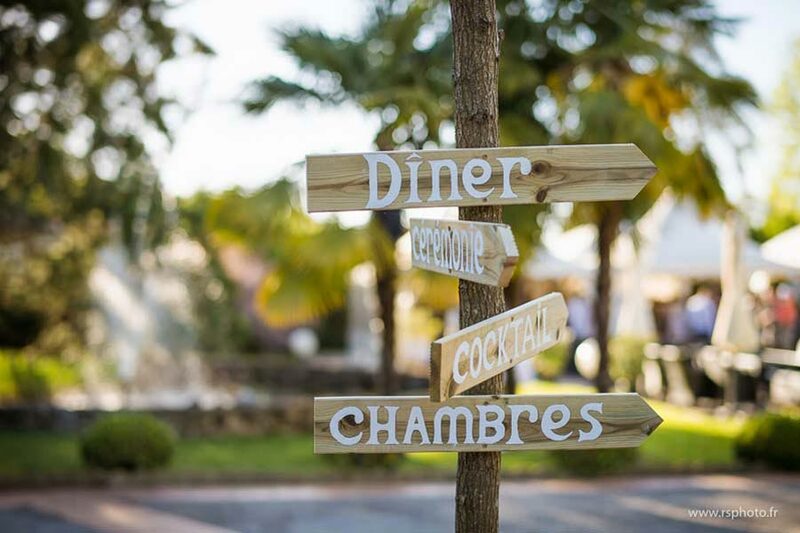 SAY YES TO THE DOMAINE DE FOMPEYRE AND WE’LL GIVE YOU A FREE WEDDING NIGHT! The marital suite is free for the wedding night. 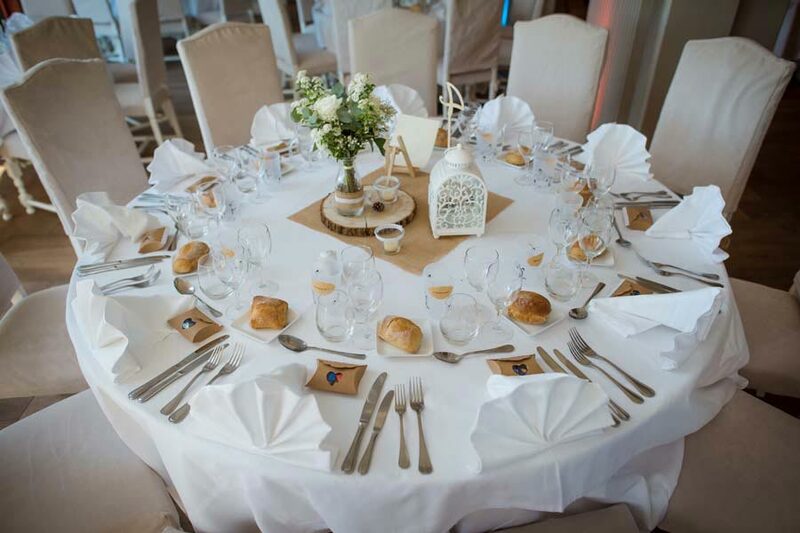 From helping you set up private functions to organising your event from start to finish, we have a range of packages to meet your needs. Whatever your choice, we can take care of contacts with the other service providers to make this a truly exceptional day. 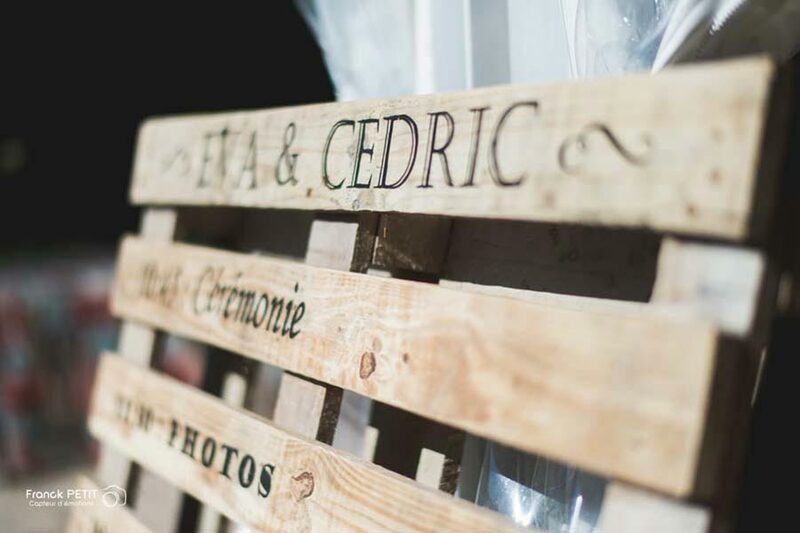 Mrs Corinne CAMBY, our sales manager, is on hand to provide you with a quotation adapted to your needs and make your event a special experience. Le Domaine de Fompeyre dispose de chambres accessibles aux personnes à mobilité réduite. L'hôtel restaurant le Domaine de Fompeyre bénéficie d'une situation privilégiée aux portes de Bordeaux en Gironde (33), à la lisière des prestigieux vignobles de Sauternes et des Graves. En poursuivant votre navigation sur le site du Domaine de Fompeyre, vous acceptez l'utilisation de cookies nécessaires à l'amélioration de l'expérience visiteur.D'accordPourquoi ?